Monetarium (Australia) Pty. Ltd. will be auctioning Australia’s most respected and valuable rare gold coin collection, known as the Quartermaster Collection, in what is expected to be the most prestigious numismatic event in this nation’s history. Sydney, Australia — The famed Quartermaster Collection, containing many of Australia’s most valuable and highest quality gold coins, will be going to auction on the 4th of June 2009. Featuring many of Australia’s rarest coins, this Auction will be unlike any other seen in this country. 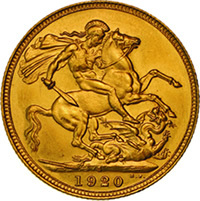 The collection of 344 items is an anthology of Australian gold currency, spanning 1852 to 1931. Tony Richardson, a director of Monetarium (Australia) Pty Ltd, says, "It’s an extraordinary achievement to have assembled such a comprehensive collection of rare coins. I doubt it will ever be seen again." For Australia, these coins are an invaluable source of recollection for this young country’s economic independence. For many years, they have been the most impressive presentation of Australia’s first currency and are some of the most prized and historically significant pieces attainable for a quality numismatic portfolio. Every coin in the collection includes a record of provenance, which is an important element for many collectors of Antiquities. "We expect the Auction will generate strong interest throughout the numismatic collector market as well as with investors world wide, who are continually looking to diversify their investment portfolios into stable, tangible, but secure liquid markets. Rare coins and banknotes have been a safe haven for many investors in past tough economic times and results from recent sales seems to indicate that once more investors are seeking this security," Tony Richardson says. The Quartermaster Collection Auction will be held on Thursday at 7:00pm, the 4th of June 2009, at the Sydney Mint Auditorium, 10 Macquarie St. Sydney, and NSW, AUSTRALIA. Viewing of lots can be organised from the 2nd of June. The buyer’s commission is only 5.5%, which is considerably lower than other antique, collectables and coin auctions. For more details about the auction and images of the collection, please visit our Quartermaster Collection site at www.monetarium.com.au/qmc.asp. About Monetarium (Australia) Pty. Ltd.
Monetarium (Australia) Pty. 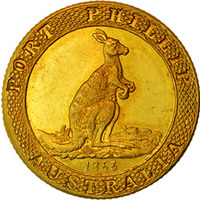 Ltd. is a leading dealer in Australian numismatics and has handled Australia’s rarest coins & banknotes several times over. 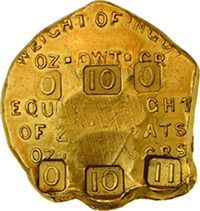 They are world authorities on Australian gold coinage, pre-decimal silver and copper coins and banknotes. All I’m trying to find is one low grade 1944 half penny.